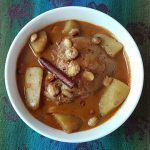 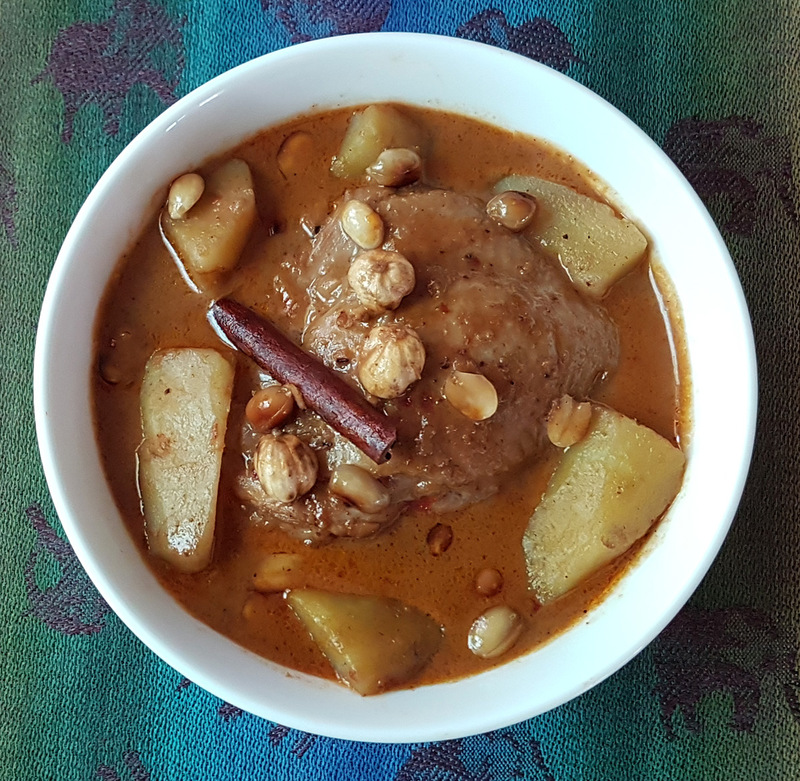 Massaman Curry with Chicken (Gaeng Massaman Gai) is an appetizing creamy, sweet, salty and sour coconut milk curry soup with potatoes, peanuts and chicken. 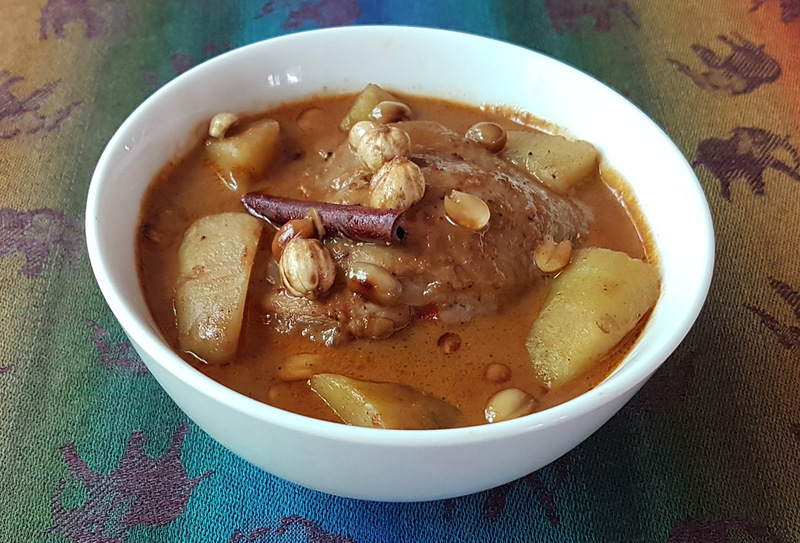 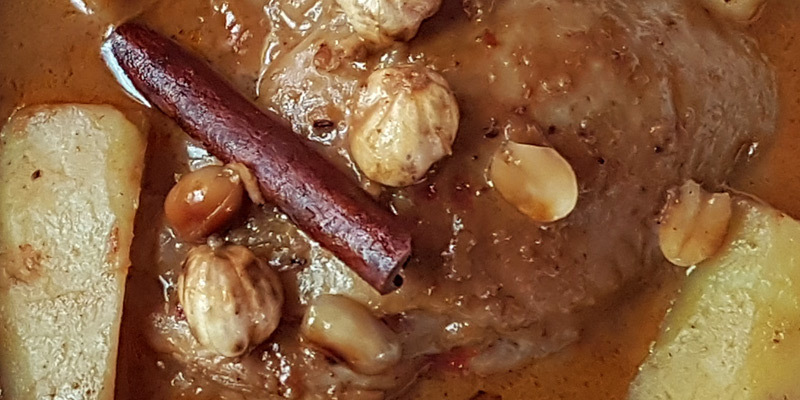 Massaman curry comes from the south of Thailand and uses a lot of Indian spices which separates its taste and aroma from many other Thai dishes. 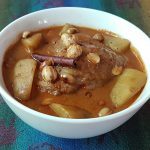 It works just a well with roti or nan bread as with jasmine rice.